Dressing for a day on the slopes can be overwhelming. Whether you’re a first timer or a seasoned local, it’s important to pick the proper attire so that you’ll be comfortable in the mountain environment all day long. If you’re not sure what to wear skiing, we’re here to help. 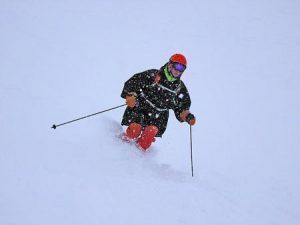 Base Layer - This layer sits against your skin and is designed to wick moisture away from the body while trapping air against the skin to insulate from the cold. Merino wool, synthetics, and even bamboo are good base layer options. Mid Layer - Mid Layers go between your base layer and your outer layer. They are designed to insulate your body by trapping your body heat. Fleece and down work well. Outer Layer (Jacket & Pants) - Outer layers are the final shell that protects you from the elements. Ideally, these layers are waterproof, windproof, and breathable. Ski Socks - Socks act as a barrier between your skin and your boots. Thin, wool socks will keep your toes warmer. Gloves/Mittens - Find a waterproof glove that will protect your hands. Mittens are usually warmer than gloves, but are bulkier. Neck Warmer - A neck gaiter protects the neck and face from frostbite and stops any drafts from the top of the jacket to the hat/helmet/goggle region. Ski Helmet - Ski helmets are warm and comfortable. Plus, they protect your head from serious injuries in the event that you fall. If you’re typically cold, wear a snug, flat hat underneath your helmet for additional warmth. Eye Protection - Ski goggles or sunglasses protect your eyes from the sun, wind, and snow. The right lens can enhance your vision so that you can see regardless of the conditions. 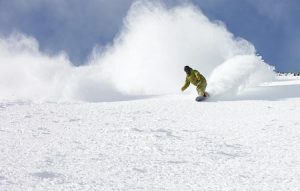 Ski/Snowboard Boots - Ski and snowboard boots are designed to be warm and durable. Sunscreen - Always wear sunscreen. Everyone will benefit from SPF applied at regular intervals. Whether you're riding chairlifts or making turns, the goal is to keep yourself warm and dry. Always dress in layers and avoid cotton at all costs. When you wear layers you can add and subtract articles of clothing as needed to maintain a comfortable temperature regardless of what Mother Nature throws your way - snow, wind, cold temps, sun, clouds, etc. If you’re still not sure what to wear skiing, stop by any of Big Sky’s outdoor retailers. 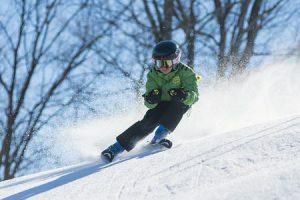 These local experts can tell you about all of the latest clothing technologies and they can give you a few style points so that you look like a seasoned pro while you’re on the slopes. Now that you know what to wear skiing you'll be able to enjoy your day at Big Sky even more.